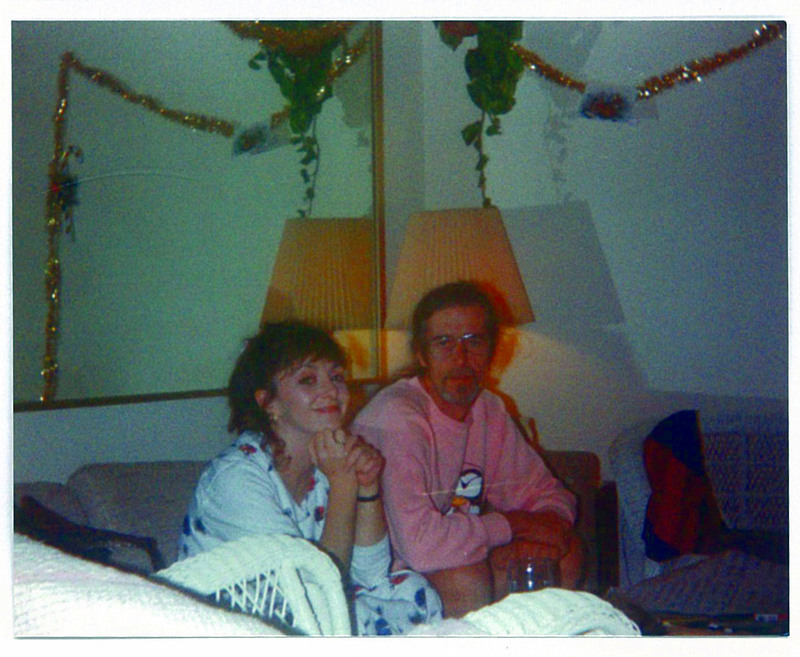 My earliest memory of my Dad is when I was lying on the sofa sick watching ‘Band Aid’ snuggled up to him. I was seven then, and Dad had been out in the garden painting kreosote on the garden fences – that smell reminds me of that day. Things that remind me of him are steak and kidney pie in a tin, chess, the song ‘Love Potion No. 9’, my hands, the way I cross my legs and my foot goes to a rhythm – he always did that! Like Jason I have kept all the letters he wrote from Ibiza, England and the States, we were always excited to see his letters coming. 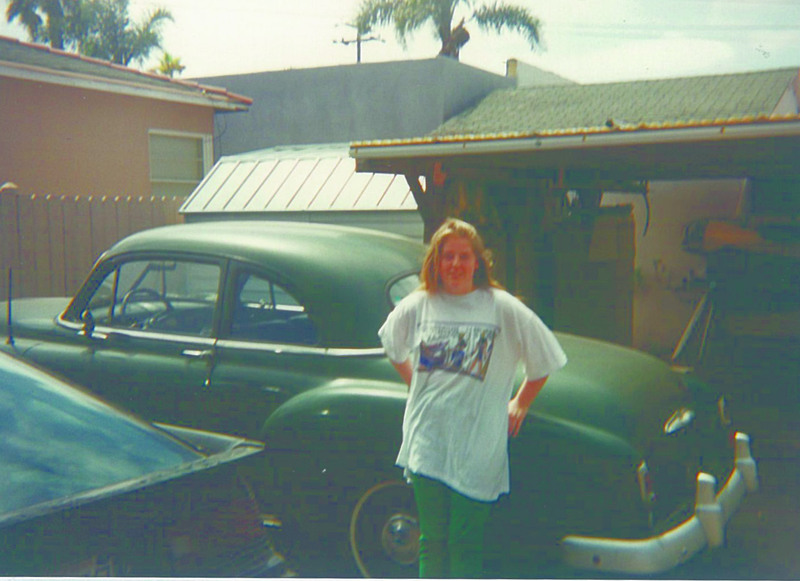 When I was 16 I lived with Dad and Angela in San Diego. It was a great opportunity to get to know him properly as being a typical teenager I hadn’t spent a lot of time with him while we were in Ireland. When my son Luke was born he was doted on by his granddad, being the first grandchild, and I remember Dad saying Luke could be a great pianist with his long fingers! When I was in labour on my second child Lia Dad was there in the hospital: he was half way in the labour room in his Trinity College cap until nurses had to stop him coming in, he was so excited! Unfortunately a few years later we had a falling out and didn’t speak for several years. When I became a mother I fell madly in love with my children. I had never felt love like it and thought ‘how could my Dad leave me and not feel this way about me?’ It wasn’t until years later when I had grown up a bit and experienced life a bit more that I spoke to Dad about how I felt. It was the first time we had ever had an open honest discussion, and how I wished I’d done it years ago, and listened to him when he tried to talk to me. What he told me I’ll never forget: he said I was his little girl, that he loved me from the minute I was born, that he didn’t leave me and never would; that how I feel about Luke and Lia is exactly how he feels about all his children – it’s just his generation aren’t as forthcoming with emotions! Luke and Lia were so happy to have their granddad in their life again and their new nanny Angela (not sure how Angela feels about the nanny title though!) They are still getting to know who their granddad is and we read this blog together and look at photos and I share my memories with them. What happened on October 4th 2011 has been heartbreaking for everyone, every emotion goes through you: anger, rage, sadness, positivity, faith, regret, guilt, helplessness, and confusion but most of all the realisation that petty arguments are just that…petty. I am so proud of Angela and what she is doing for her husband – my Dad. I think she is amazing, this is what true love is. Angela ~ Thank you, Ayesha, for sharing these memories. It was great to have you San Diego with us for almost a year, your Dad was thrilled that you were there. He always told me what a good baby and then little girl you were: quiet, sweet and affectionate. He always admired your loyalty to your friends – how you’d spring to their defence if anyone said anything about them. We did have a laugh in San Diego, me and you, and you and your Dad. Because you were under 21 you couldn’t come to our gigs but we went out to ‘appropriate’ places as much as we could: the Hard Rock Café, Chillie Cook Offs and whale watching. Remember the ‘shorter shorts’? And lying on the beach looking at the surfers? It was great crack. I guess it was tough for him when you became a grown-up woman: he never forgot that he loved you first. He was bound to feel protective. Knowing more about life than you did then, he must have been afraid you’d get hurt. When you had Luke and Lia, of course he was delighted. He (and I) really enjoyed being with the three of you and with the kids in the music room when you visited us in Woodbrook, where Luke would play the piano and Lia would look wistful and shy. I recently found a bunch of photos of just that scenario and my heart cracked a little bit more. We all went to the Zoo together, I remember, and up to Powerscourt Waterfall for a picnic. Lia wouldn’t let me mind her at all, if you and your Dad were doing something else I’d try to keep an eye on her but she’d run off… so I’d follow her – at a respectful distance, just to keep her safe – and she’d eye me suspiciously. Luke had no such reserve – climbing over and poking at everything, and sitting on anything that stayed still long enough. It was great when we all got together again a couple of years ago as he’d missed you all so much. You’re right that his generation weren’t demonstrative but that doesn’t mean they didn’t feel the love. And all families are different – there’s a range of dynamics that work for some and not others. Your Dad is a very affectionate person once he can relax and trust the people that he’s with. You’ve seen him with Luke and Lia. And he and his siblings are very close, he loves them very much and they him, but they’re not necessarily ‘all over’ each other. It’s not always a good indication of devotion. The last year has taught me that actions speak very much louder than words. It’s easy to say stuff and walk away: it’s much harder to do the truly loving thing: give your time and energy to the person who really needs it. I’ve seen some true familial devotion in the shape of your aunts Ritamary and Zita, your uncle Eamonn, and your cousins Majbritt, Bronwyn and Edward since your Dad’s injury. Without Ritamary and Eamonn I’d likely not have made it this far. I don’t just love him because he’s clever, or talented but because he’s kind and sweet and gentle, and all the things a person should aspire to be. He has changed a lot in the 27 years I’ve known him – maybe we taught each other how to get through life: we certainly had enough to contend with for a long time. Seeing him so happy and content over the last ten years gladdened my heart: there were of course a few things that made him sad but overall he dealt with it and tried to be the best that he could be. As for me, I’m very proud that you’d consider me nanna material: having children – apparently! – has not been on my agenda since I was four or five (that’s what my mother says, anyway – ‘I’m never having children’ was my announcement at the age of 5, I think) and to be honest, I always thought it was such a huge responsibility I’m amazed people do it. I was happy with Bob and didn’t want to have children. So I’m glad to have the chance to be an honorary nanna, it’s wonderful. Thank you.